The Association Agreement with the EU, signed in June 2014, has finally entered into force, and the deep and comprehensive free trade are between Ukraine and the EU came into effect on January 1. Ukraine’s new strategic choice promises countless opportunities as well as huge challenges to the Ukrainian economy. Ukraine is entering the New Year with a radically new trade policy – the European Union is now officially the country’s main strategic partner. The entry into force of the deep and comprehensive free trade area indicates that Ukrainian producers will have easier access to EU markets, while the European goods will gradually become cheaper on the domestic market due the lifting of import duties. In addition, there are opportunities to significantly increase agricultural exports to the EU in 2016. Past year’s preparations for the historic moment were fraught with considerable difficulties. On the one hand, Ukraine had to fulfill a number of technical obligations under the Association Agreement, including - harmonizing technical and phytosanitary standards. On the other, the government led difficult talks with Russia, aimed to avoid Moscow’s trade restrictions after the start of the DCFTA. Ukraine’s northern neighbor, who has long turned from the key trading partner into the aggressor state, first actively insisted on the postponement of the DCFTA, and later – on the postponement of the abolition of the Sovietera technical standards. The Russian side put forward inherently absurd claims of mythical losses amounting to $3.5 billion for the Russian economy. 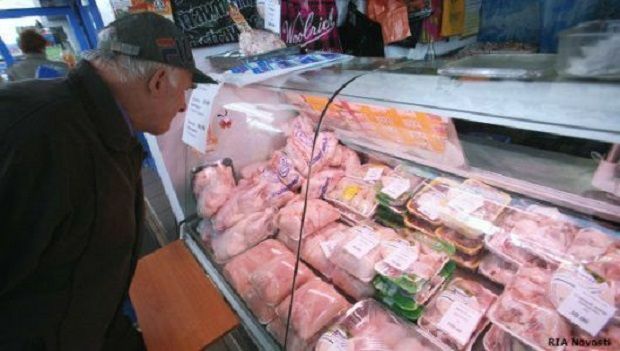 Besides, having apparently remembered of the infamous Belarusian shrimp and parmesan, Russia vpiced concernsabout the re-export of the sanctioned European goods through the territory of Ukraine. Ultimately, the talks yielded no results, ending just before the New Year, being marked by accusations against our country of illegally lustrating high ranking professionals and producing low quality goods that do not meet the high standards of the CIS. But the Russian psychological attack had no chance to achieve its goal – the Ukraine-EU DCFTA took effect on January 1, 2016. The same day, Russia imposed anti-Ukrainian sanctions by banning the import of Ukrainian agricultural products, raw materials and foodstuffs. Ukraine’s response was swift as the Cabinet introduced import duties on Russian goods, as well as a ban on the import of a number of commodity groups, including foodstuffs, chemical products and railway equipment. Despite the loss of the Russian market, the EU market has the potential to more than compensate for a decrease of Ukraine’s export potential because of the Russian occupation of the industrial Donbas and Crimea. Meanwhile, in the past year, the foreign trade figures were disappointing - the volume of exports to the European countries in January-October 2015 fell by 28% in monetary terms, which is to $10.5 billion, accounting for 40% of total exports. Dragon Capital CEO, former president of the European Business Association, Tomas Fiala tied the perspective of Ukrainian producers in the European market with market conditions. The decline of exports to Europe did not mean physical volume of production, according to Fiala. It was a monetary decrease, as prices for basic goods of Ukrainian exports were low throughout the year. Ukraine’s Trade Representative Natalia Mykolska named another reason for the decline of Ukrainian exports to the EU in the last year the saturation of the European agricultural market. "The first factor is that the European market is flooded with agricultural products because of the Russian embargo. Accordingly, a significant part of the goods, which were exported to Russia, remained in the domestic market. Because of this, domestic demand in the EU is weak. The second point is the price situation in the European Union," she said. According to Mykolska, areas of growth for Ukrainian exports to the EU in the new year may be agricultural products requiring import permits, food products with high added value and, partly, the industrial products. So, while widely opening its doors for Ukraine, the EU market still requires considerable effort by business and government to become a new point of economic growth. Trade with the EU: What will Ukraine receive? Considering weak results of Ukraine’s foreign trade in the past year, it becomes apparent that trade with the EU will not be a panacea for all the problems of the national business.DCFTA does not provide for a significant reduction of existing tariffs or increased quotas for Ukrainian products, as the EU has already made these steps unilaterally, back in 2014. The main advantage is the simplification of procedures for access to the markets of the European Union related to the synchronization of technical standards and certification. According to the executive director of the European Business Association, Hanna Derevianko, the DCFTA will not bring instant investment and increase trade turnover. "I would not consider a free trade area of absolute panacea for the Ukrainian businessmen, a ‘magic wand,’ which will bring investment in a blink of an eye, win over the European market and improve the economy. Let us remember the days of Ukraine's accession to the WTO, when the expectations were very high. As we seem little have changed in practice," she said. Derevyanko also stressed that it’s exclusively the businesses and the government who will bear most of the responsibility for the use of trade preferences. "The DCFTA is a stimulus, an assistance. Ukraine is logistically close and convenient for the effective trade with the EU. Anything can come true, it’s just that we’ll have to act and work, ourselves: raise the quality of the products, make available the loans for business development, which will allow introducing technologies and becoming competitive in the EU markets," said the executive director of the European Business Association. According to the Head of the EU Delegation to Ukraine, Ian Tombinski, a free trade area will bring effect tangible for the population and the businesses no earlier than in two years. The official assured that the foundation must be built, to safeguard future results. According to the Institute for Economic Research and Policy Consulting, the implementation of the economic part of the Association Agreement will give Ukraine the opportunity to increase exports to the EU countries at the annual level of 4-5%, or about $ 800 million, within a five-year term. "Starting 2016, when the [Assosication] Agreement will be implemented, Ukraine will start to open (for the goods from the EU), but gradually. This means that Ukraine will see a 4-5% export growth as early as the first year of implementation," said Ihor Burakovsky, director of the institute. At the same time, due to the fact that Ukraine will gradually reduce import tariffs on European products, the well-being of the Ukrainians will be enhancing due to the falling prices. According to experts, in ten years, the DCFTA will increase the well-being of Ukrainians by 12.3%, the wage growth only due to the Association Agreement is expected at about 10%, while the growth capital investments in Ukraine will be at the level of 17.3%. The Institute’s senior researcher, Mykola Ryzhenkov, emphasizes that the DCFTA will benefit agriculture, chemical, light and textile industry the most. "Top 4 products, which will see a 66% growth (in the exports to the EU) are agricultural," he said. Forecasts of the Institute for Economic Research and Policy Consulting are confirmed by practical experience of the neighboring states, who have signed an Association Agreement in the early 1990s. According to the World Bank, after the conclusion of the agreements, the economies of Poland, Slovakia, Romania and Hungary have been rising since 1992 by an average of 3% per year. At the same time, Ukraine's GDP currently stands at only 70% of its 1990 level. We should only hope that the government and the businesses will take advantage of the positive experience of the Eastern European economies and ensure the restoration of economic growth, which the country needs so much after reaching macro-stabilization. 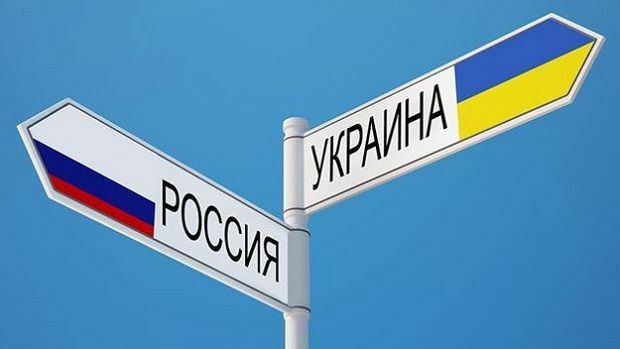 In violation of the principles of international trade, the Russian authorities unilaterally cancelled the free trade zone with Ukraine in the framework of the CIS from January 1. However, the Kremlin’s allies - Kazakhstan, Belarus and Armenia - did not support the move. Thus, the tariffs on the export of Ukrainian goods to Russia now account for an average of 6%, but they are considerably higher for sensitive products, among them – the products of agriculture. In addition, the Russian Federation introduced a food embargo on Ukrainian goods. According to the State Statistics Service, the volume of exports to the Russian Federation in January-October 2015 compared with the same period in 2014 decreased by 54%, to $4 billion, while the volume of imports decreased by 43% to $6.4 billion in the same period. The government estimates the potential damage to the Ukrainian economy as a result of the Russian embargo at $600 million. Ukraine has responded with countermeasures. The Cabinet introduced import duties on Russian goods, as well as a ban on the import of a number of commodity groups, including foodstuffs, chemical products and railway equipment. Prime Minister Arseniy Yatsenyuk, while earlier declaring the Government’s measures, stressed that all the "mirror" sanctions will take effect from Jan. 2 and Jan. 10, following the Russian embargo. Natalia Mykolska explained why the two dates were named: "The embargo [the import ban] is introduced from January 10, because we understand that certain products are now being delivered, and we have provided the transition period so that our companies did not incur losses." While the Kremlin is trying to calm down the public, saying that the Ukrainian countermeasures will not cause particular problems, the Russian media have started to actively discuss the possible losses to the Russian business already suffering from the sanctions and the deepening crisis. Meanwhile, the impact of the Russian embargo on the Ukrainian economy will not be significant. "Even in 2013, the food industry exported to Russia only 1% of its products. Of course, it is unpleasant to lose any exports, but it is certainly not disastrous. Approximately the same situation was for the agriculture. That is, the dependence on the Russian market was already low in 2013. In 2015, the exports to Russia fell dramatically," said Veronika Movchan, scientific director of the economic research center at Institute for Economic Research and Political Consulting. According to the expert, Russia has ceased to be a predictable trade partner for the Ukrainian business, which is already finding opportunities to diversify markets. "As a trading partner, Russia has a significant share of total exports, but this share is dropping rapidly," said Movchan. According to the analyst, trade restrictions may affect beef and pork producers, as these products can not be delivered to the EU market due to the substandard sanitary conditions. However, an additional factor of growth of Ukraine's exports can be the increased trade with promising markets of the Middle East, including the UAE, Iran, Egypt and Turkey. The latter refused the imports of Russian wheat in late 2015 in connection with the confrontation between Moscow and Ankara. Therefore, Turkey is not only ready to increase the purchase of the Ukrainian products, but also accelerate the creation of a free trade zone Ukraine. "Since 2010, Turkey have increased its imports of Russian grain tenfold. Now these imports halted. This is a huge opportunity," said Deputy Minister of Agrarian Policy and Food Vladyslava Rutytska. Active promotion of the Ukrainian products in foreign markets will help the country stabilize the financial situation. The inflow of foreign currency due to increased trade with the EU and other partners will contribute to the strengthening of the hryvnia, as well as reduce the cost of imported goods, which can significantly improve the well-being of the population. Despite Russia’s trade restrictions, the Association Agreement opens for Ukraine the access to the world’s largest market, the Eurozone, with 500 million consumers and the GDP reaching EUR 14 trillion in 2014. 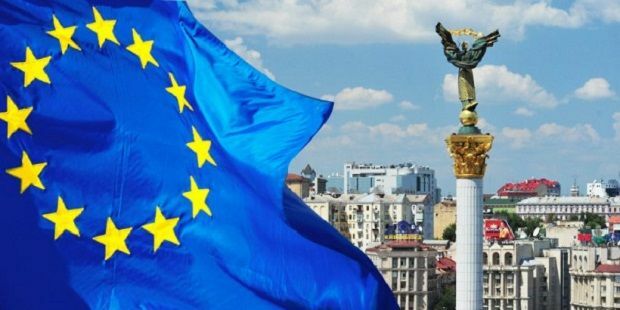 The Deep and Comprehensive Free Trade Area with the EU could become the basis for economic growth in Ukraine in the new year, but only given the active trade policy of the state and the business.